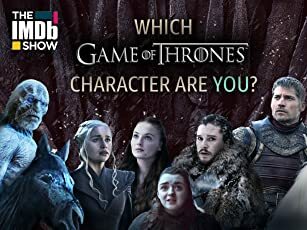 A romantic comedy about a no name wanna be gangster by the name of Nick Sargenti and his goofy group of untalented misfits. The story focuses around Nick and Kim and their constant on again off again relationship. Alien Secrets weaves sci-fi and reality in an epic portrayal of one man's search for an alien/human hybrid and his drive to save humanity. In a War of Terror, the Ultimate Terror Wins! When I was a kid it always used to bother me that the Creature from the Black Lagoon was listed among the Classic Universal Monsters, but never encountered any of the others. My favorite Universals were always the "monster rallies", such as "Frankenstein Meets the Wolfman" and I've had a terrible hunger for more such films, but sadly there just weren't any more to be had. As an adult, I've always wanted to see "Retro-Horror" films, films in the style of the Classics I loved. "Frankenstein vs the Creature from Blood Cove" is a Monster Rally in the grand old sense. FINALLY I get to see a "Creature" interacting with another classic monster. This is as close to "Frankenstein vs the Creature from the Black Lagoon" as we will ever get to see. It's not just a fun film, it is the realization of a dream I've had since I was a kid. And it is proof that "Retro-Horror" CAN be done and that there is a market for it. FvtCfBC features not just the two lead monsters, but also has a Werewolf, a Bride of Frankenstein, the ghost of Dr. Frankenstein and more--all in designs that are spectacular, given the limitations of the film's budget! 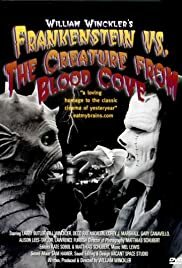 "Frankenstein vs the Creature from Blood Cove" may not please some of the stuffier fans of the classics that inspired it, but nevertheless it is a great fun romp of a movie, made with a profound love of those classics and with a wee bit of spice for the modern audience. In that regard, it has a lot in common with the AIP b&w classics of the '60's. It's sort of Frankenstein meets the Creature on Del Tenney's beach. Sort of. Destined to be a Cult Classic!